Join the Muscarelle’s Distinguished Artist in Residence Steve Prince in this intense hands-on workshop, where participants will be exposed to the limitless process of creating watercolor monoprints! Participants will create expressive watercolor templates on Yupo paper, cut and arrange the dried color materials on a acrylic substrate, and utilize water saturated archival paper to reconstitute the watercolors to create unique, multi-colored prints that are abstract or representational. All materials will be provided, all skill levels are welcome; just bring your imagination! Member sign up begins April 26. Non-Member sign up begins May 3. Workshop fee: Muscarelle Members, W&M Staff, Faculty, and Students $10 Non-Members $25 Please note that space is limited to 25 participants. Purchase tickets here! 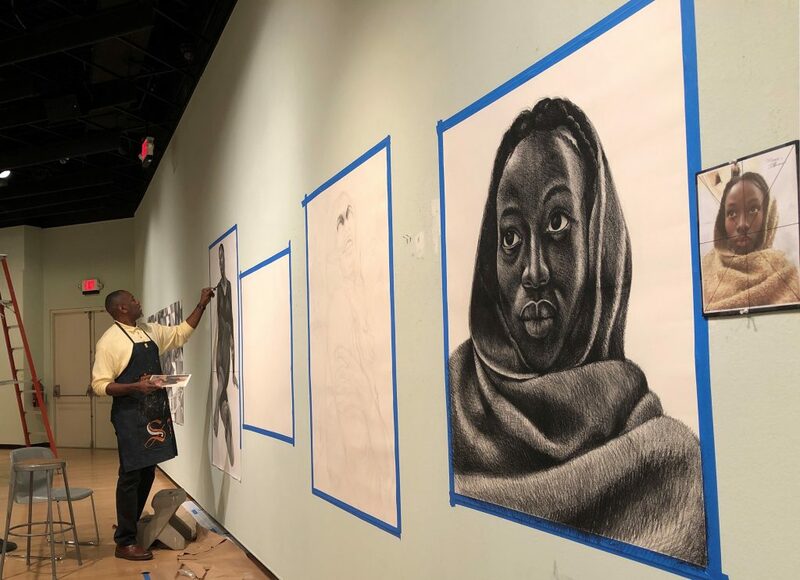 As part of the exhibition Sankofa: Looking Back, Moving Forward (on view at the Stryker Center May 1 – June 12, 2019) Steve Prince will be in residence at the Stryker Center, ready to engage with visitors while he completes his latest drawing from the series, from May 13 – 17. Free and open to the public. Art Museums loom large on the cultural landscape, and when new ones are built, they are important opportunities to present the current state of architectural and design thinking. In this lecture, we will explore recently constructed museums in America, including smaller museums on college campuses and larger institutions that serve as flagship centers of civic engagement in urban settings. 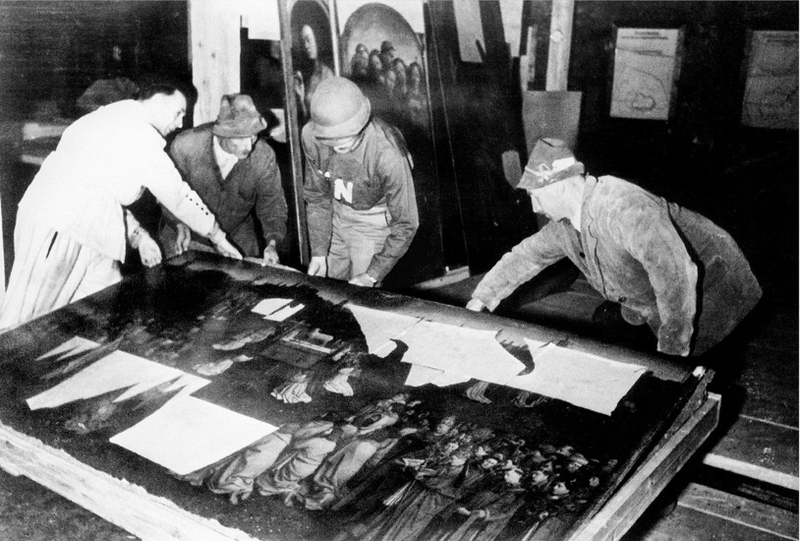 We will also check in on the current status of our own quest for a new museum at William & Mary. Member sign up begins May 2. Non-member sign up begins May 9. Free to Members, W&M Students, Faculty, and Staff. Non-Members: $5 Reserve your spot or purchase tickets here. Please check back for details of upcoming lectures and events. The galleries will close temporarily as we develop The Martha Wren Briggs Center for the Visual Arts and enter the next phase and future of the Muscarelle Museum of Art. In the interim, Muscarelle Museum of Art programming will continue at select satellite locations. Please check Muscarelle.org for updates and annex information. 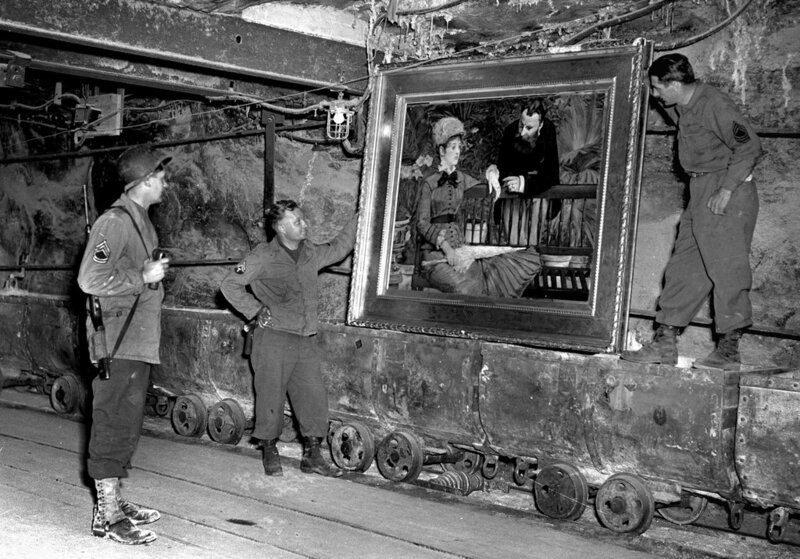 You can learn more about the Muscarelle Museum of Art goals and priorities in the fact sheet, which can be downloaded here. Please join us for the award-winning film My Architect: A Son’s Journey! 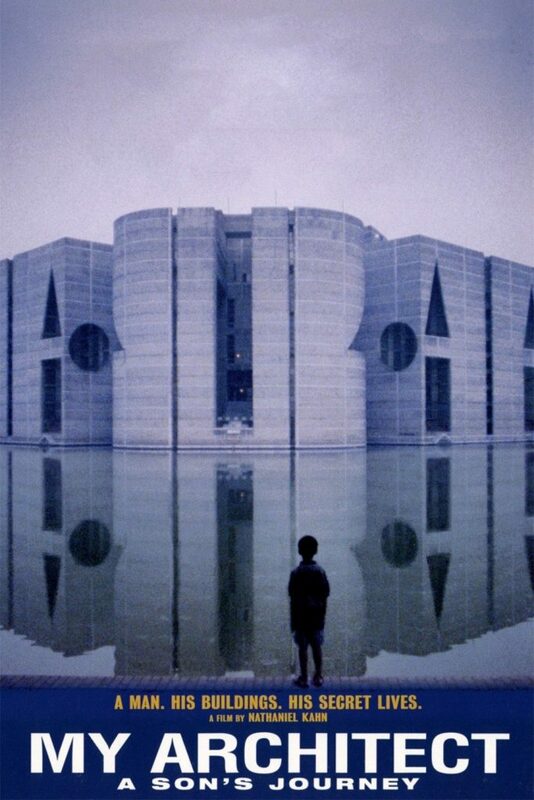 This remarkable documentary examines Louis Kahn’s bold, modern buildings in loving detail. Kahn was one of the most important architects of the twentieth century. His dramatic death in 1974 – alone and unidentified in the men’s room of New York’s Penn train station – revealed a triple life: in addition to this wife and daughter, Kahn left behind two illegitimate children, by different women with whom he had long-term relationships. As the architect’s only son, director Nathaniel Kahn sought out old acquaintances and relatives of his father making My Architect a startlingly emotional human-interest story. Kahn explores his father’s life with a spirit of generosity and a wonderful sense of objectivity, taking him around America and to Israel, India and finally Bangladesh, to create a profound portrait of a man, an artist, his buildings and his secret lives. A brief introduction by the Student Organizers will precede the screening (Run time: 110 minutes). Join the Muscarelle’s Distinguished Artist in Residence Steve Prince in this intense hands-on workshop, where participants will be exposed to the limitless process of creating watercolor monoprints! 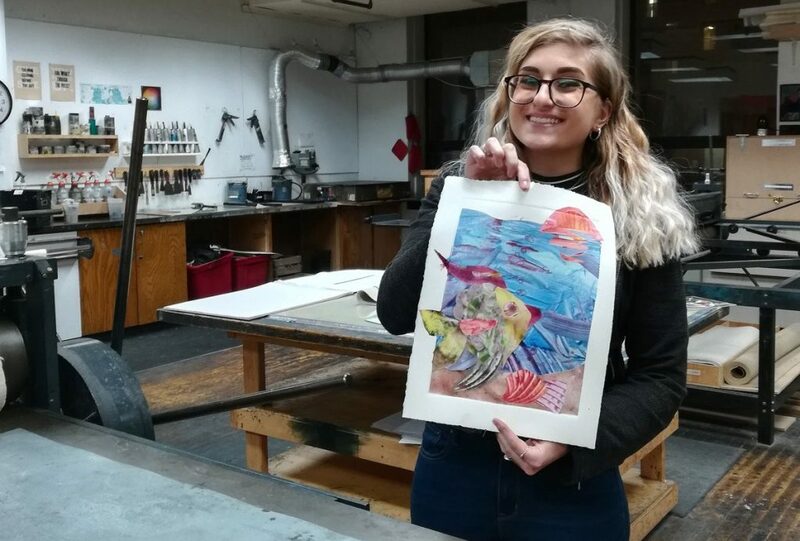 Participants will create expressive watercolor templates on Yupo paper, cut and arrange the dried color materials on a acrylic substrate, and utilize water saturated archival paper to reconstitute the watercolors to create unique, multi-colored prints that are abstract or representational. All materials will be provided, all skill levels are welcome; just bring your imagination! Please note that space is limited to 25 participants. 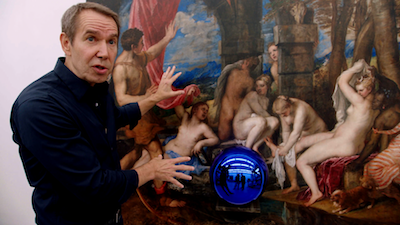 Please join Steve Prince at the Muscarelle Museum of Art for Meet the Artist Brown Bag Lunch. Come by the Museum with your lunch any time between 11:30 AM – 1:30 PM to learn about the methods and thought processes involved in creating works of art from the artist himself. Each Brown Bag Lunch features something new, so be sure to stop by. This week features music from William & Mary’s Ebony Expressions Gospel Choir! Treats courtesy of Kilwins Williamsburg! 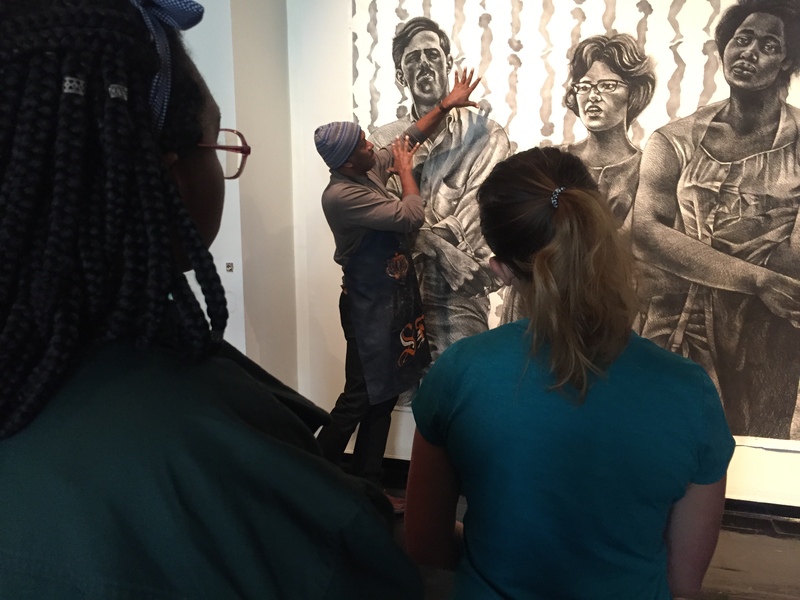 Created to commemorate the 50th anniversary of the first African American students in residence at William & Mary, Building on the Legacy: African American Art from the Permanent Collection was part of a yearlong program of special events during the 2017-2018 academic year, which spoke to themes of parity and desegregation. The original exhibition, held at the Muscarelle Museum of Art (September 2, 2017 – January 14, 2018), featured works that encompassed a variety of media, styles, and eras, exemplifying the plurality of vision among these accomplished artists. Re-created and expanded for VIRTUAL MUSCARELLE as part of the 2019 commemoration in the Commonwealth, Building on the Legacy embraces a panoply of approaches, ranging from the 19th-century realism of Henry Ossawa Tanner to the contemporary conceptualism of Martin Puryear. With the International Style exhibition of 1932, the Museum of Modern Art plunged into the discourse regarding modern architecture. 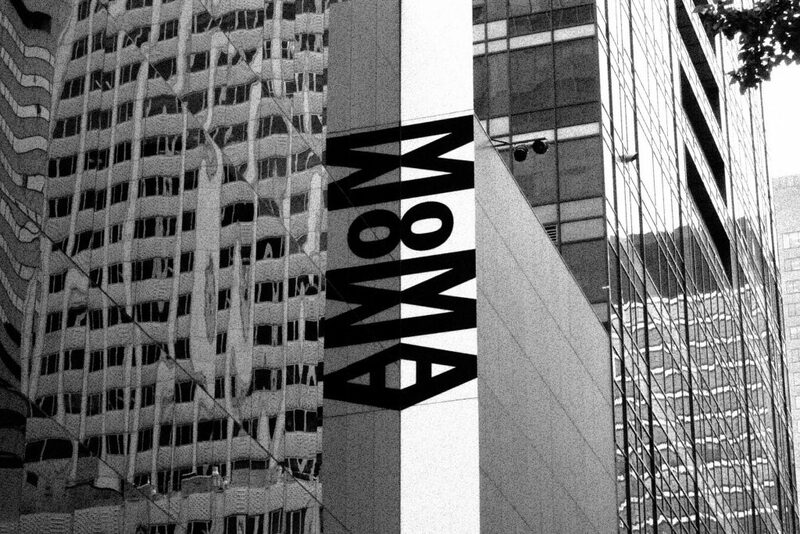 In this lecture, we will reflect on the efforts of MoMA to “educate” American designers about international architectural trends, while simultaneously missing the rich flavors of modernism that were thriving regionally in the United States. 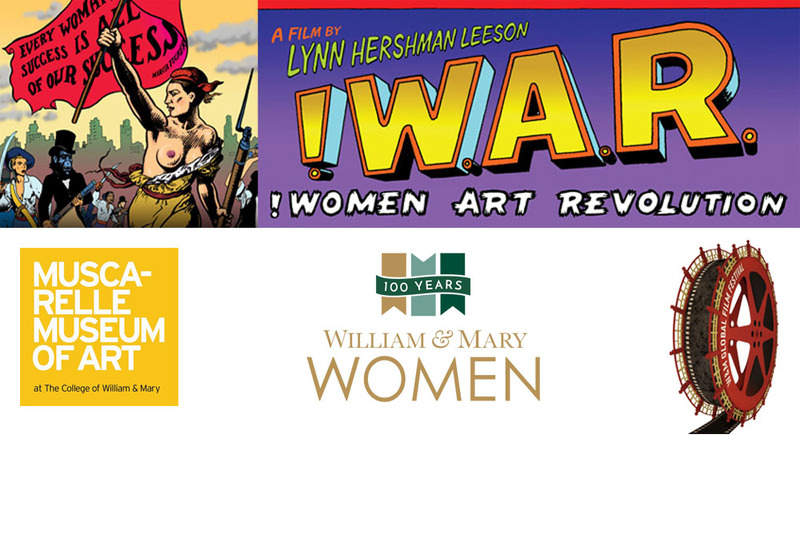 Free to Members, W&M Students, Faculty, and Staff. Non-Members: $5 Reserve your spot or purchase tickets here. Join us for our inaugural Book Club! Over the course of this series we will be reading books that are related to works of art and artists represented in the Museum’s permanent collection. 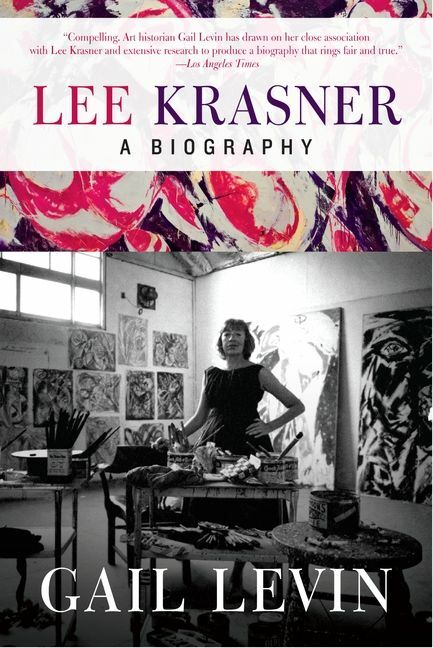 In honor of 100 Years of Women at William & Mary, this semester we have selected Lee Krasner: A Biography by Gail Levin. Lee Krasner trained with Hans Hofmann at his New York studio, where she was exposed to the modernist innovations of pre-war Paris, including Picasso’s Cubism and Matisse’s use of color and outline. Though her works are marked by these influences and incorporate other characteristic motifs— shallow space, reductive color, rhythmic gesture, geometric abstraction, and bio-morphic motifs— Krasner also frequently experimented with new styles. Krasner married Jackson Pollock in 1945 and continued her exploration in abstraction. In Gail Levin’s biography, she challenges previous portrayals of Krasner as living in the shadow of her husband, and shows that she was an independent and resourceful woman of uncompromising talent and prodigious energy. The Muscarelle presents our third installment of Art Film Friday, a free community event, on December 14, 5:30 pm, at Washington Hall Room 201. 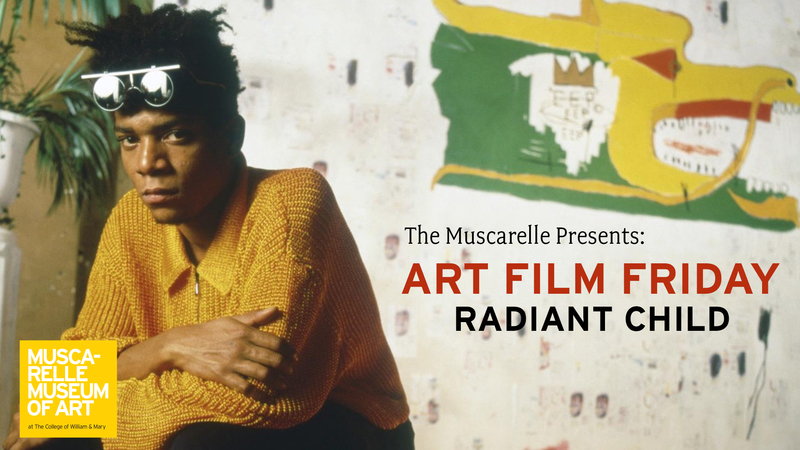 Please join us for the celebrated documentary Jean-Michel Basquiat: The Radiant Child. In his short career, Jean-Michel Basquiat was a phenomenon. Appreciated by Andy Warhol, the art cognoscenti and the public, Basquiat was launched into international stardom. 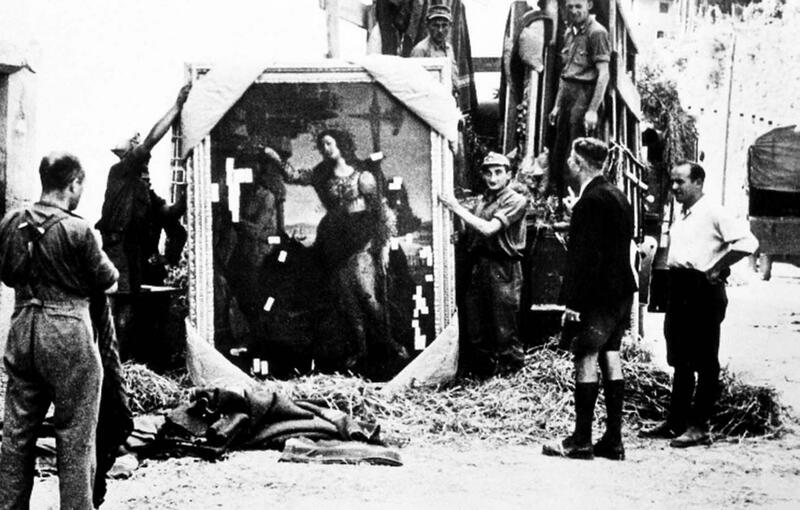 However, soon his cult status began to override the art that made him famous. Director Tamra Davis pays homage to her friend in this cinematic biography, but also delves into Basquiat as an iconoclast. 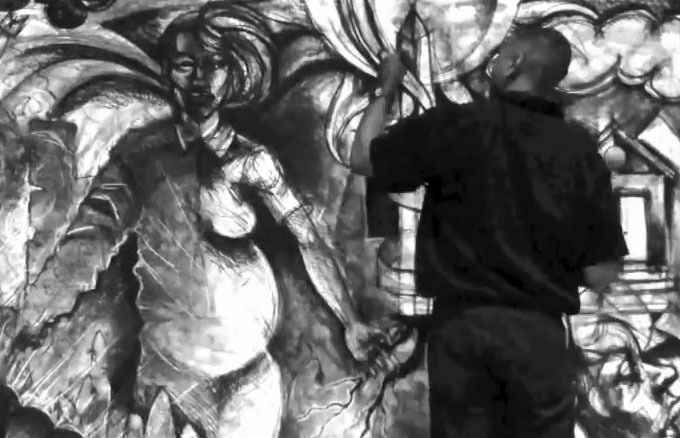 His dense, bebop-influenced neoexpressionist work emerged while minimalist, conceptual art was the fad; as a successful black artist, he was constantly confronted by racism and misconceptions. Much can be gleaned from insider interviews and archival footage, but it is Basquiat’s own words and work that powerfully convey the mystique and allure of both the artist and the man. The screening will include a short introduction by the student organizers. (Film run-time 1hr, 33min). Washington Hall is located at 241 Jamestown Road on the campus of William & Mary. Please join Steve Prince, Director of Engagement and Distinguished Artist in Residence, Friday, December 7 at the Muscarelle Museum of Art for a Meet the Artist Brown Bag Lunch. 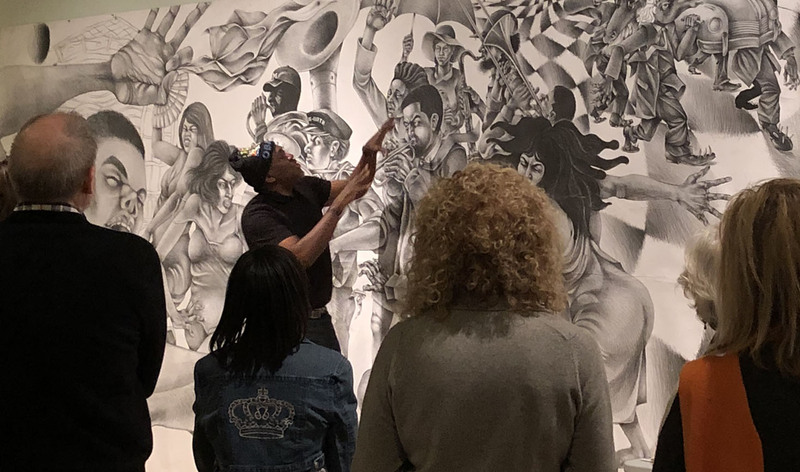 Stop by the Museum any time between 12 and 2:00 pm to learn about the methods and thought processes involved in creating works of art dealing with provocative subject matter through the artist himself. 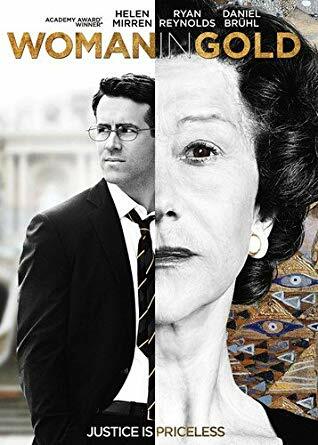 The Muscarelle presents our second installment of Art Film Friday, a free community event, on November 2nd, 5:30 pm, at Tucker Theater (Tucker 127A). Trace the rise of contemporary artist Cai Guo-Qiang from childhood in Mao’s China to global art world superstar, and join his quest to realize his lifelong obsession: Sky Ladder. Told through the artist’s own words and those of family, friends and observers, the film examines why Cai engineers artworks that loom as far as the eye can see. The screening will include a short introduction by the student organizers. (Film run-time 1hr, 16min). Tucker Theater is located at 350 James Blair Drive on the campus of William & Mary. Please call 757.221.2703 for more information. One of the fundamental questions considered by many of the greatest twentieth-century architects was how a modern, technology-infused society should arrange itself for living. As part of our Selected Topics in Architecture series, Edwin Pease will discuss how many architects developed their own ideas for urbanism; with some even defining their own brand of utopia. Wright had a deep disdain for cities, and a very strong belief in the rural fabric of America, not unlike that of Thomas Jefferson. He longed for American democracy to play itself out on our country’s vast landscape, seeking a way for life and land to be intertwined. Wright’s utopia was described physically in his Broadacre City project, which included a model of a four square mile section of America. He spoke extensively on his project, which incorporated many of his most important architectural paradigms and legacies that became the cornerstones of American residential development. The Muscarelle Museum of Art invites you to the annual Bluegrass, Beer and Barbeque in the ‘Burg. 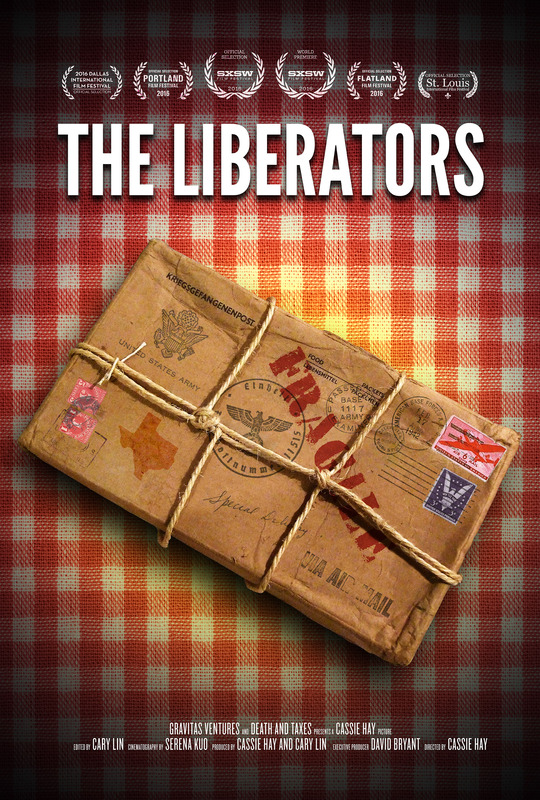 The event will feature traditional southern BBQ from five states, live music, and beer as far as the eye can see. Bluegrass, Beer and Barbeque is open to the entire Williamsburg community, so don’t miss out! This event is a celebration of the 80th birthday of the Chamber and Tourism Alliance. For more information and tickets, click here. The Muscarelle Museum of Art is proud to present the eighth Annual Wine & Run for the Roses Auction on Derby Day Saturday! Laugh! Libate! Lift your paddle for a great cause! In this session, part of our Selected Topics in Architecture, David Brashear will discuss Wright’s hardships during the depths of the Depression; a time when the renowned architect was nearly written off as being irrelevant. But his re-emergence as a powerful architectural force was announced to the world with his remarkable creation at Bear Run for Edgar Kaufmann – Fallingwater. Hailed around the world as an incredible breakthrough, Fallingwater relaunched Wright’s career at the age of 69. He would go on to do some of the most important work of his career following the Kaufmann house, including the Herbert Jacob House, the Herbert Johnson House, the Johnson Wax Building, the Price Tower, and the Guggenheim Museum, among many, many other works. Wright’s last decades constituted the most productive period of his life, and he worked until his death in 1959 at the age of 92. The Muscarelle Museum of Art presents the 9th annual Wine & Run for the Roses Auction on Derby Day! The Director of Engagement is responsible for the development, planning, managing and representation of the outreach and educational programs of the Museum working collaboratively with various departments of the College, students and greater community.